The Mint of Japan have announced their latest prefecture silver coin which features a well-known landmark or structure as its obverse design. 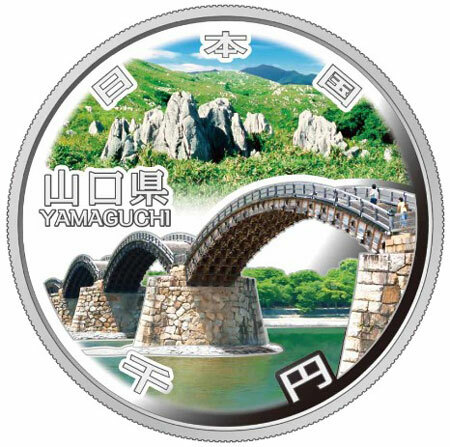 This coin features the Kintaikyo Bridge, in the prefecture of Yamaguchi which is a historical wooden structure that consists of a series of five wooden arches and spans the Nishiki River in Iwakuni City. Built in 1673 by Kikkawa Hiroyoshi, the third lord of the Iwakuni domain, this bridge is known as one of the three most beautiful or unique bridges in Japan and was designated as a place of scenic beauty by the national government. 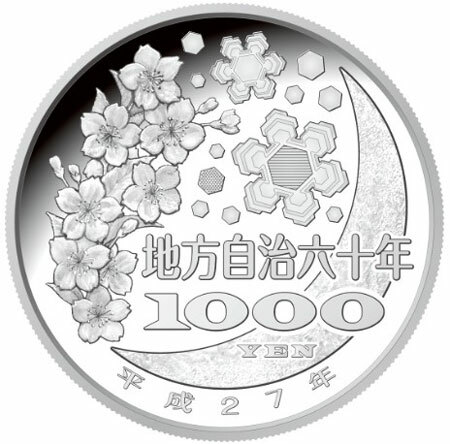 For more information on this and other coins available from the Mint of Japan, please visit their website at: http://www.mint.go.jp/eng/buy-eng/eng_coin_international_index.html For international distributors of Mint of Japan coins, please visit: http://www.mint.go.jp/eng/qa-eng/eng_qa_overseasqa_contract.html Information offered in English and Japanese. Some how these color printed coins don’t appeal to me. Not sure why mints resort to these techniques, is it once again to meet requirements of local collectors? Or is it because it makes the entire process easy? From what I’ve been told by Mint officials from the Japan Mint, the colourised coins and this technique are very popular with their local market. This is why they have committed themselves to the issue of all 47 prefectures using this application or method. The images are very nice but I myself prefer the 500 yen series as they are simply struck with the same or similar design and I think the result is nicer. I believe the sales figures also supports that this series is very popular.